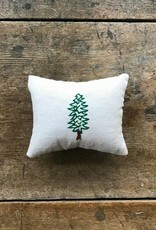 Enjoy the aroma of the woods with one of these locally made and hand embroidered pine tree balsam filled pillows. 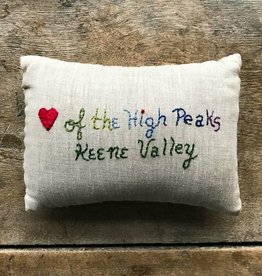 Balsam filled pillows are thoughtful Adirondack themed gifts that are perfect for just about any occasion. 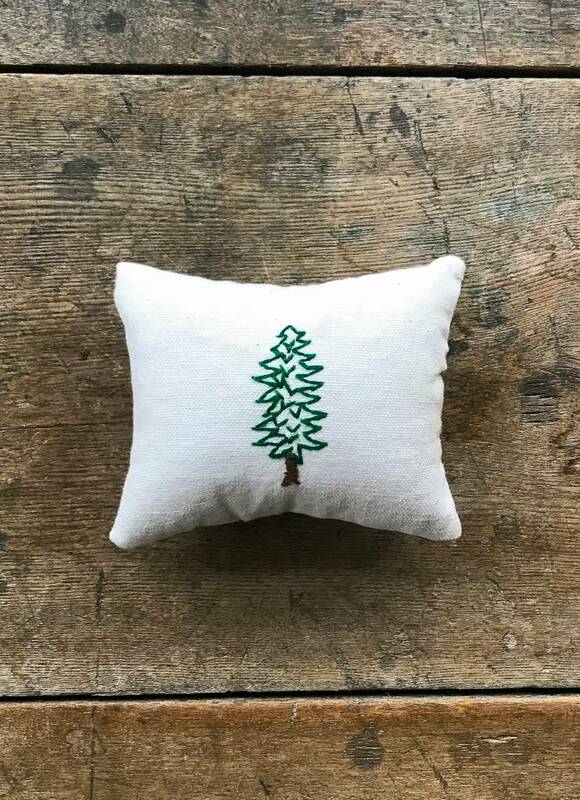 Each one of these handmade balsam pillows is stuffed with a mixture of locally sourced fresh and dried balsam needles, and lovingly hand-embroidered with a pine tree. 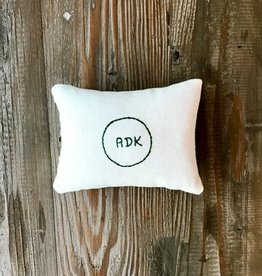 Because of the handmade nature of this item please note that backing fabric and embroidery details vary a bit from pillow to pillow. Please contact us if you would like to see images of the exact available ones.